A member of the notorious loyalist killer group, the Glennan Gang, has told how he believes its leader personally killed more than 100 people and dismissed suggestions that a public inquiry would exposed the truth. 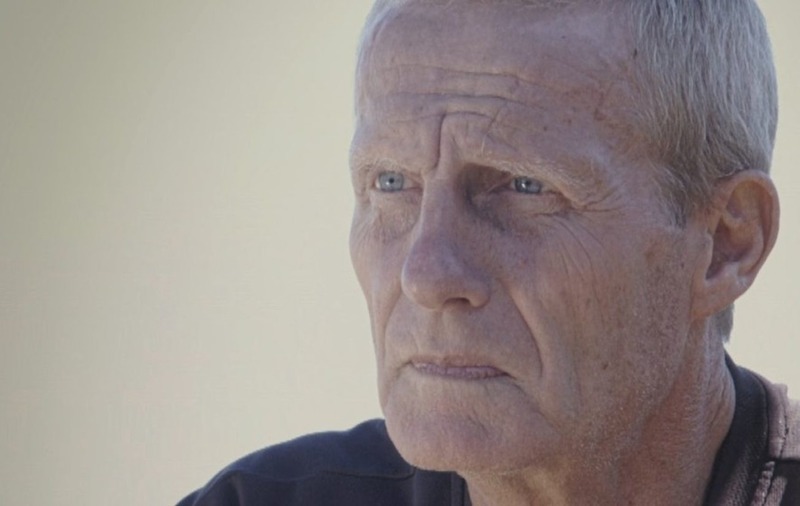 In a rare interview from his home in South Africa, John Weir insists that a truth commission is the only way that victims will get closure. Connla Young reports. A FORMER RUC officer and member of the notorious Glenanne gang has claimed the British government was aware of the group’s activities at the very highest level. John Weir, who held the rank of sergeant, was speaking just weeks after a High Court judge ruled that the PSNI unlawfully frustrated any chance of an effective investigation into suspected state collusion with the sectarian killer gang. Made up of members of the RUC, UDR and UVF, it operated across the Mid-Ulster area in the mid 1970s. Based out of a farm owned by former RUC officer, James Mitchell in Glenanne in south Armagh, the gang is believed to have carried out around 120 murders, the majority of which were innocent Catholics. Now one of its most prominent members, former sergeant John Weir, has said that the establishment of a truth commission and amnesty may be the only way some of the darkest secrets of the Troubles will ever be revealed. Originally from Co Monaghan, he was a member of the RUC’s Special Patrol Group in Armagh when he became involved in the activities of the Glenanne Gang. The former policeman gave evidence to the 2003 Barron Report – which examined the 1974 Dublin and Monaghan bombings that claimed the lives of 33 people and an unborn child. He and another former colleague William ‘Billy’ McCaughey were convicted of taking part in the murder of father-of-seven William Strathearn (39) at his home in Ahoghill, Co Antrim, in April 1977. The former Derry GAA player and shopkeeper had opened his front door at 2am after the gunmen said they needed aspirin for a sick child. Convicted in 1980 he was released from prison in 1993 and later went to live in Nigeria. Now living in South Africa, the former policeman last said that senior officials in Downing Street would have been aware of the group’s activities. “Of course they would,” he said in an interview with the Irish News. “How would they not be? “Right, for example, the army commanders……do you mean to say that those men were not actually feeding information. “Even they were feeding information direct to government. “Obviously some of it was going through their senior officers but not all. “Some of those men, they themselves were connected to parliament. After last month’s court ruling relatives of people killed by the gang demanded an independent inquiry be set up. Most of its attacks took place in the “murder triangle” area counties Armagh and Tyrone. It also launched some attacks elsewhere in Northern Ireland and in the Republic of Ireland. The gang included British soldiers from the Ulster Defence Regiment (UDR), police officers from the Royal Ulster Constabulary (RUC), and members of the Mid-Ulster Brigade of the Ulster Volunteer Force(UVF). Twenty-five British soldiers and police officers were named as purported members of the gang. Details about the group have come from many sources, including the affidavit of former member and RUC officer John Weir; statements by other former members; police, army and court documents; and ballistics evidence linking the same weapons to various attacks. Since 2003, the group’s activities have also been investigated by the 2006 Cassel Report, and three reports commissioned by Irish Supreme Court Justice Henry Barron, known as the Barron Reports. A book focusing on the group’s activities, Lethal Allies: British Collusion in Ireland, was published in 2013. It drew on all the aforementioned sources, as well as Historical Enquiries Team investigations. Lethal Allies claims that permutations of the group killed about 120 people – almost all of whom were “upwardly mobile” Catholic civilians with no links to Irish republican paramilitaries. The Cassel Report investigated 76 killings attributed to the group and found evidence that British soldiers and RUC officers were involved in 74 of those. John Weir claimed his superiors knew he was working with loyalist militants but allowed it to continue. The Cassel Report also said that some senior officers knew of the crimes but did nothing to prevent, investigate or punish. It has been alleged that some key members were double agentsworking for British military intelligence and RUC Special Branch. Attacks attributed to the group include the Dublin and Monaghan bombings, the Miami Showband killings, and the Reavey and O’Dowd killings. Many of the victims were killed at their homes or in indiscriminate attacks on Catholic-owned pubs with guns and/or bombs. Some were shot after being stopped at fake British Army checkpoints, and a number of the attacks were co-ordinated. 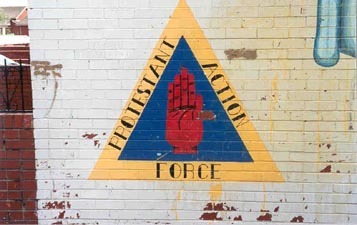 When it wished to “claim” its attacks, the group usually used the name “Protestant Action Force“. The name “Glenanne gang” has been used since 2003 and is derived from the farm at Glenanne (near Markethill, County Armagh) that was used as the gang’s main ‘base of operations’. It also made use of a farm near Dungannon. By the mid-1970s the violent ethno-political conflict known as the Troubles had radically transformed the daily lives of people in Northern Ireland; after five years of turbulent civil unrest, the bombings and shootings showed no signs of abating. The armed campaign waged by the Provisional IRA had escalated, with bombings in England and increased attacks on the security forces in Northern Ireland. The British Army and the Royal Ulster Constabulary (RUC) bore the brunt of IRA violence and many Protestants felt their people to be under attack. Rogue members of the RUC Special Patrol Group (SPG) believed that the situation was rapidly deteriorating and that the IRA were actually ‘winning the war’. As early as the end of 1973, it was suggested that drastic measures had to be taken to defeat the organisation. The SPG was a specialised police unit tasked with providing back-up to the regular RUC and to police sensitive areas. On 10 February 1975, the Provisional IRA and British government entered into a truce and restarted negotiations. The IRA agreed to halt attacks on the British security forces, and the security forces mostly ended its raids and searches. However, there were dissenters on both sides. Some Provisionals wanted no part of the truce, while British commanders resented being told to stop their operations against the IRA just when—they claimed—they had the Provisionals on the run. increased their attacks on Roman Catholics and nationalists. Loyalist fears were partially grounded in fact as Secret Intelligence Service officer Michael Oatley had engaged in negotiations with a member of the IRA Army Council during which “structures of disengagement” from Ireland were discussed. This had meant a possible withdrawal of British troops from Northern Ireland. Loyalists killed 120 Catholics in 1975, the vast majority civilians.They hoped to force the IRA to retaliate in kind and thus hasten an end to the truce. It was during this exceptionally violent period that a group of loyalist extremists formed a loose alliance that was belatedly in 2003 given the name “Glenanne gang”.The gang, which contained over 40 known members, included soldiers of the British Army’s Ulster Defence Regiment (UDR), rogue elements of the RUC, the Mid-Ulster Brigade of the illegal paramilitary Ulster Volunteer Force (UVF) and some Ulster Defence Association (UDA) members. This group began to carry out shooting and bombing attacks directed against Catholics and nationalists to retaliate for the IRA’s intensified military campaign. Most of these attacks took place in the area of County Armagh and Mid-Ulster referred to as the “murder triangle” by journalist Joe Tiernan. It also launched attacks elsewhere in Northern Ireland and in the Republic of Ireland. The name “Glenanne gang” is derived from the farm at Glenanne (near Markethill, County Armagh) that was used as the gang’s arm dump and bomb-making site. John Oliver Weir (born 1950, County Monaghan, Republic of Ireland) — an officer in the RUC Special Patrol Group (an “anti-terrorist” unit) and UVF volunteer. Weir was the son of a gamekeeper and was brought up on an estate near Castleblaney. He attended a Protestant boarding school in Dublin. After joining the RUC in 1970, he worked at Strandtown RUC station in Belfast. In 1972, he was transferred to Armagh where he was recruited by the SPG on 1 August 1973. Following the IRA killing of two members of the security forces in 1974 and 1975, he was sent for his own safety to the SPG unit in Castlereagh, Belfast. On an unspecified date between January 1975 and September 1976, he joined the Glenanne gang. Weir then spent six weeks at the Lisanelly Army base in Omagh; in 1976 he was promoted to the rank of sergeant and transferred to Newry RUC barracks. He claimed to have been directly involved in the bomb attack at Tully’s Bar in Belleek, the attempted bombing of Renaghan’s Bar, Clontibret, County Monaghan, and to have visited the Glenanne farm regularly during the autumn of 1976. In November 1977, he was sent to Newtownhamilton RUC barracks. In 1980, he left the RUC upon his conviction for the 1977 killing of William Strathearn, a Catholic chemist. He was released from prison in 1992. During and after his imprisonment he made a number of allegations incriminating his former associates in the Glenanne gang. His 1999 affidavit was published in the 2003 Barron Report on the Dublin and Monaghan bombings. Weir also implicated Chief Inspector Harry Breen in having direct knowledge of the gang’s activities in his Affidavit of 3 January 1999. William “Billy” McCaughey (died 2006) — Armagh RUC SPG officer who had acted as a close protection guard for Ulster Unionist Party politician John Taylor and a UVF volunteer. He was a former member of the Ulster Special Constabulary. McCaughey was implicated by his colleague Weir in many Glenanne gang attacks such as the O’Dowd shootings, the assault on the Rock Bar, and he admitted to having kidnapped a Roman Catholic priest. McCaughey was convicted along with Weir for the killing of William Strathearn and sentenced to 16 years imprisonment. McCaughey received a seven-year sentence for wounding Michael McGrath during the attack on the Rock Bar, was sentenced on explosives and possession charges and was also sentenced to three years’ imprisonment for the kidnapping of Fr Hugh Murphy. Billy Hanna (c. 1929 – 27 July 1975, Lurgan, County Armagh) — founder of the UVF Mid-Ulster Brigade and its commander until July 1975; he had also served as a sergeant in the C Company, 11th Battalion UDR before being dismissed for providing intelligence to the UVF. He was the gang’s staff instructor. Colin Wallace maintained Hanna had organised the Dublin bombings in May 1974. Journalist Joe Tiernan alleged that Hanna was an Intelligence Corps agent. He was the person who had approached James Mitchell for permission to use the property as an arms dump and bomb-making site. Hanna was shot dead outside his home in Lurgan in July 1975. Robin “The Jackal” Jackson (27 September 1948, Donaghmore, County Tyrone – 30 May 1998, Donaghcloney, County Down) — commander of the UVF Mid-Ulster Brigade from July 1975 to the early 1990s, Ulster Defence Regiment (UDR) member and an alleged RUC Special Branch agent with ties to military intelligence. He assumed leadership of the brigade upon the shooting death of Hanna, for which he was said by Tiernan to have been responsible. Weir implicated Robin Jackson in a number of the gang’s killings and has named him as having been a “key figure” in the gang. 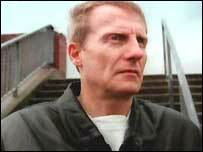 Following the 1993 Yorkshire Television programme The Hidden Hand which implicated Jackson in the Dublin bombings but did not mention him by name, he was questioned. He denied involvement in the three car bombings which left 26 people dead. and Miami Showband killings. He was only convicted once (in 1981), for possession of a .22 pistol, a .38 revolver, a magazine, 13 rounds of ammunition, and hoods; however, he was released after having served two years of a seven-year sentence. Jackson’s fingerprints were found on a home-made silencer attached to a Luger pistol (serial number U 4) retrieved at Ted Sinclair’s farm in 1976. Jackson’s name appeared on the Garda Síochána suspects list for the Dublin and Monaghan bombings. Jackson was named in court as one of the killers of William Strathern by Weir and McCaughey. The court was told by an RUC officer that Jackson and Kerr were not before the court as part of “operational strategy”. Jackson died of lung cancer in 1998. Robert McConnell — a UVF volunteer and 2nd Battalion UDR corporal. The Barron Report lists him as one of the suspects in the Dublin bombings. He allegedly had links to both RUC Special Branch and the Intelligence Corps, and it was claimed he was controlled before and after the bombings by Robert Nairac. McConnell was named by both Lily Shields and Laurence McClure as being involved in the Donnelly’s Bar killings. Weir states he took part in the John Francis Green shooting along with Robin Jackson and Harris Boyle. He was named by Weir as the leading gunman in the Reavey family shootings. McConnell was killed by the IRA on 5 April 1976. Laurence McClure — a UVF volunteer and RUC SPG officer, having joined the Armagh SPG in May 1975. He was a close neighbour of James Mitchell and owned a repair garage adjacent to the farm. McClure was named by Weir as having taken part in several sectarian attacks including those at Donnelly’s Bar and the Rock Bar, the latter for which he was convicted and received a two-year sentence, suspended for three years. Weir alleges that McClure had helped assemble the bombs used in Dublin. McClure admitted being a getaway driver for those involved in the Donnelly’s Bar bombing and to have waited in the car with Lily Shields; the two acting as a “courting couple”. McClure was charged with withholding information in relation to the attack on Donnelly’s Bar. The barrister for the UDR and the police … said he had obtained a nolle prosequi sentence, a Latin legal phrase meaning “to be unwilling to pursue” (amounting to “do not prosecute”) against the charge. The only person who can authorise a nolle prosequi is the Attorney General. James Mitchell (c. 1920 – May 2008) — an RUC Reserve officer and the owner of the Glenanne farm. He joined the RUC Reserve in September 1974 and was stationed at Markethill. He left the force on 1 July 1977 for “personal reasons”. Weir named him as a UVF member who regularly participated in paramilitary activities.Weir claimed that Mitchell admitted being involved in the Dublin and Monaghan bombings, and went on to claim that he had seen Mitchell mixing home-made ammonium-nitrate-and-fuel-oil explosive in the farmyard on one occasion. “a damned liar and convicted murderer”. “I’m not saying he was lily–white but he was a decent man”. Robert John “R.J”. Kerr (c. 1943 – 7 November 1997) — UDA commander. He was charged with having weapons and ammunition in suspicious circumstances in 1972; later found guilty of armed robbery on 10 March 1973. Kerr was sentenced in 1974 in relation to the intimidation and assaulting of two men in 1973 and received 18 months in jail. Kerr was named as one of the killers of William Strathearn by Weir and McCaughey. The court was told by an RUC officer that Jackson and Kerr were not before the court as part of “police strategy”. He died in a mysterious explosion, his body having been found in the vicinity of a burnt-out boat that was being towed on a trailer on the main Newry to Warrenpoint Road. Harris Boyle (1953, Portadown – 31 July 1975, Buskhill, County Down) — UDR soldier and UVF volunteer. Boyle was unmarried and worked as a telephone wireman. He was charged with having weapons and ammunition in suspicious circumstances in 1972. Boyle was killed when a bomb he had placed on the Miami Showband bus exploded prematurely. He was implicated in the Dublin and Monaghan bombings, and the killing of IRA volunteer John Francis Green in County Monaghan. According to submissions received by Mr Justice Barron, the Monaghan bomb was assembled at his home on Festival Road in Portadown’s Killycomain estate. Wesley Somerville (born County Tyrone – died 31 July 1975, Buskhill, County Down) — UDR soldier and a UVF lieutenant. He was a textile worker by trade. He was killed when a bomb he had placed on the Miami Showband bus exploded prematurely. Wesley Somerville was also charged along with two others for kidnapping two bread deliverymen. The kidnapping charge was connected to a bomb attack at Mourne Crescent, Dungannon. Weir named Somerville as having been involved in the 1974 bombing in Monaghan. Gary Armstrong — RUC sergeant, given a two-year suspended sentence in relation to the kidnapping of a Catholic priest, Father Hugh Murphy, in retaliation for the murder of a policeman. Armstrong was named by Judge Barron as one of the group of RUC members who carried out the gun and bomb attack on the Rock Bar. Joseph Stewart Young — UVF volunteer from Portadown. His name appears on the Garda suspects list for the Dublin and Monaghan bombings. John Weir claims that Young had been part of the unit that carried out the Monaghan bombing. When questioned, Young denied the allegation. He was also suspected of involvement in the attack on Donnelly’s bar. Captain John Irwin — UDR intelligence officer. Weir declares in his affidavit that Irwin provided the explosives for the Dublin and Monaghan bombings and delivered them to Mitchell’s farm, where they were then assembled. Lance corporal Thomas Raymond Crozier (born 1951, Lurgan, County Armagh) — C Company, 11th Battalion UDR, and UVF volunteer, he worked as a painting contractor. He was convicted in October 1976 in relation to the Miami Showband killings. He was also arrested in 1975 along with Samuel Fulton Neil and Robin Jackson in possession of four shotguns. Sergeant James Roderick McDowell (from Lurgan, County Armagh) — also C Company, 11th Battalion UDR, and UVF volunteer, he was an optical worker; convicted in October 1976 in relation to Miami Showband killings. John James Somerville (died January 2015) — former UDR soldier from Moygashel, County Tyrone; brother of Wesley (see above); worked as a lorry-helper; convicted on 9 November 1981 in relation to the Miami Showband killings. Somerville was also charged along with two others with kidnapping two bread deliverymen. The kidnapping charge was also connected to a bomb attack at Mourne Crescent in Dungannon. He was also convicted of an armed robbery on a CIÉ bus in Aughnacloy and causing approximately £12,000 worth of damage to the bus. He was named by Weir as having been involved in the Monaghan bombing. Sarah Elizabeth “Lily” Shields — Mitchell’s housekeeper. She was named by Weir as having provided the getaway car for those who attacked McArdle’s Bar and Donnelly’s Bar. Charges were later brought against her for withholding information regarding the latter attack. However, the trial judge and DPP brought a nolle prosequi against the charge in April 1981. Norman Greenlee — UDR soldier and UVF volunteer. The Star pistol (serial number 344164) used in a number of Glenanne gang attacks was found at Greenlee’s farm in Richhill, County Armagh in 1979. A large number of other weapons and ammunition was also found. He subsequently received a seven-year sentence for possessing the weapons and a concurrent four-year sentence for UVF membership. George Moore was found guilty of the attempted killing of Patrick Turley, assault, and possession of a gun and ammunition. Gordon Liggett — Ulster Defence Association (UDA) commander. He was found guilty of causing grievous and actual bodily harm to Patrick Turley; as well as armed robbery and possession of a gun and ammunition. William Ashton Wright — UDR soldier. He was charged with having weapons and ammunition in suspicious circumstances in 1972. He was later found guilty of armed robbery, which had taken place on 10 March 1973. Wright was sentenced in 1974 in relation to the intimidation and assaulting of two men in 1973 and received a six-month suspended sentence. George Hyde — charged in connection with the attempted murder of Patrick Turley; he was later found beaten to death in prison. Edward “Ted” Sinclair (from Dungannon) was convicted of possession of a Luger pistol (serial number U 4), a .38 ACP pistol, homemade machine guns, gelignite and ammunition in 1976. He was released in 1979. Sinclair was arrested again in 1980 and charged with possession of a .45 revolver and ammunition. However, charges were withdrawn by the DPP. Sinclair was also charged with the 1976 killings of Peter and Jane McKearney (a married couple mistakenly believed to be the parents of an IRA volunteer with the same surname, Margaret McKearney, although there was no relation). In 1982 (the following year), these charges were also dropped by the DPP. Garnet James Busby was convicted of the killings of Peter and Jane McKearney in October 1975 (see above). He was also convicted of the killings of Andrew Small, James McCaughey, Joseph Kelly and Patrick Barnard at the Hillcrest Bar in Dungannon. He planted the bomb at O’Neill’s Bar in Dungannon. During his trial an RUC inspector told the court that the same UVF gang was responsible for the attack on the Miami Showband. William Parr was convicted of Denis Mullen’s killing. Billy Corrigan was named as taking part in Denis Mullen’s killing during the trial of William Parr. Corrigan was killed by the IRA in 1976. Henry Garfield Liggett was convicted of the killing of Patrick McNeice. Dorothy Mullan was convicted of driving the car to the site of Patrick McNeice’s killing. Garfield Gerard Beattie was convicted of the killings of Denis Mullan, Jim McLoughlin and Patrick McNeice at the Eagle Bar in Charlemont; also convicted of the attempted killings of other patrons in the Eagle Bar. David Henry Kane was convicted of the killing of Jim McLoughlin and the attempted killings of the other patrons in the Eagle Bar. Joey Lutton — UDR soldier convicted of the attacks on the Eagle Bar and Clancy’s Bar in Charlemont. Samuel Fulton Neill (died 25 January 1976) — brother-in-law of Robin Jackson, arrested in 1975 alongside Jackson and Thomas Crozier in possession of four shotguns. He was fatally shot five times in the head after leaving a Portadown pub, allegedly by Jackson, for having passed on information to the police about the people involved in the Miami Showband attack. Trevor Barnard was charged along with two others with the kidnapping of two bread deliverymen. The kidnapping charge was also linked to a bomb attack at Mourne Crescent in Dungannon. Laurence Tate — UDR soldier. He was convicted along with two others of the bombing of an empty bungalow near Dungannon. He was also convicted of the bombing of Killen’s Bar in Dungannon. He was arrested as part of the Miami Showband investigation. Harold Henry McKay was convicted along with two others of the bombing of an empty bungalow near Dungannon. Also convicted of the bombing of Killen’s Bar in Dungannon. He was arrested as part of the Miami Showband investigation. John Nimmons was convicted along with two others of the bombing of an empty bungalow near Dungannon. Also convicted of the bombing of Killen’s Bar in Dungannon. He was arrested as part of the Miami Showband investigation. William Thomas Leonard — UDR soldier convicted of the killings of James and Gertrude Devlin, a married couple. He was also convicted of the bombing of Killen’s Bar in Dungannon, and of the armed robbery of the CIÉ bus in Aughnacloy which caused approximately £12,000 worth of damage to the bus. Sammy McCoo was named by McClure and Shields as being involved in the attack on Donnelly’s bar. McCoo’s name later appeared on the Garda suspects list for the Dublin and Monaghan bombings. Ian Mitchell — RUC officer, received a two-year sentence, suspended for three years in relation to the attack on the Rock Bar. Ian Mitchell was one of the investigating officers into the killings of Betty McDonald and Gerald McGleenan at the Step Inn, Keady, County Armagh. David Wilson — RUC officer, received a one-year sentence, suspended for two years in relation to the attack on the Rock Bar. Alexander McCaughey — father of Billy McCaughey, given a one-year suspended sentence in relation to the kidnapping of Fr. Murphy. The gang has also been linked to military intelligence liaison officer Captain Robert Nairac who worked for 14th Intelligence Company (The Det). On The Hidden Hand programme made by Yorkshire Television in 1993, it was claimed that Robin Jackson was controlled by Nairac and 14th Intelligence. In May 1977, Nairac was kidnapped by the IRA in Dromintee and taken across the border into the Republic where he was interrogated for more than an hour and pistol-whipped in Ravensdale Woods, County Louth. Nairac was then shot dead by Liam Townson. Pte Ian Leonard Price, 2nd battalion, The Queens Reg Merlyn Rees, Secretary of State for Northern Ireland, lifted the proscription against the UVF on 4 April 1974, but it was made illegal once again on 3 October 1975; therefore, during the period between April 1974 and October 1975, membership of the UVF was not a crime. The largest loyalist paramilitary group in Northern Ireland, the Ulster Defence Association (UDA) was also not proscribed at the time. In 2004, the Pat Finucane Centre asked Professor Douglas Cassel (formerly of Northwestern University School of Law in Chicago) to convene an international inquiry to investigate collusion by members of the British security forces in sectarian killings in Northern Ireland committed during the mid-1970s. The gang’s involvement in the killings was to be investigated in particular. 4 October 1972: killing of Catholic civilian Patrick Connolly. He was killed and his mother and brother were injured when a grenade was thrown through the window of their house in Portadown, County Armagh. The family were Catholics living in a mixed area of the town. The grenade was of a type manufactured in the United Kingdom “for use by the British Armed Forces”. According to reliable loyalist sources, UVF members were responsible. 20 February 1973: an armed robbery on a CIÉ bus in Aughnacloy, which caused approximately £12,000 worth of damage to the bus. 10 March 1973: attempted murder of Patrick Turley in Portadown. 10 March 1973: armed robbery, for which Glenanne gang members were later jailed. 24 May 1973: bombing of Killen’s Bar in Dungannon, County Tyrone. UDR soldiers Laurence Tate and William Thomas Leonard were convicted, along with two others. 4 August 1973: attempted killings of Bernadette Devlin McAliskey and her husband at their home in Coalisland, County Tyrone. 5 August 1973: killing of Catholic civilians Francis and Bernadette Mullen. They were shot dead by two gunmen at their farmhouse in Broughadoey, near Moy, County Tyrone. Their two-year-old son was also wounded by gunfire. The “Ulster Freedom Fighters” claimed responsibility but it is believed UVF members were responsible. 28 October 1973: killing of Catholic civilian Francis McCaughey. He was wounded by a booby-trap bomb at a farm in Carnteel, near Aughnacloy, County Tyrone. He died on 8 November. The “Ulster Freedom Fighters” claimed responsibility but it is believed UVF members were responsible.His brother-in-law, Owen Boyle, was later shot dead by the Glenanne gang. 29 October 1973: killing of Catholic civilian Patrick Campbell. He was shot dead by a gunman who arrived at the door of his house in Banbridge, County Down. The “Ulster Freedom Fighters” claimed responsibility but it later emerged that UVF members had been responsible. Although Robin Jackson was arrested and Campbell’s widow picked him out as the killer at an identity parade, murder charges against him were soon dropped. 17 January 1974: gun attack on Boyle’s Bar in Cappagh, County Tyrone. Two gunmen entered the pub and opened fire indiscriminately on the customers. Catholic civilian Daniel Hughes was killed and three others wounded. 19 February 1974: bomb attack on Traynor’s Bar at Aghinlig, between Blackwatertown and Charlemont, County Armagh. Catholic civilian Patrick Molloy and Protestant civilian John Wylie were killed. Two other civilians were wounded. In 1981 a serving UDR soldier, a former UDR soldier and a former UVF member were convicted of the murders. 7 May 1974: killing of Catholic civilians James and Gertrude Devlin, who were shot dead near their home at Congo Road, near Dungannon, County Tyrone. They were driving home with their 17-year-old daughter. As they neared their house, a man in a military uniform stopped the car and opened fire on them. James and Gertrude were killed outright and their daughter, Patricia, in the back seat, was wounded. UDR soldier William Thomas Leonard was convicted for the killings. His membership in the UDR was withheld from the courts by the police. 17 May 1974: Dublin and Monaghan bombings, in which 33 civilians were killed (see below). 3 September 1974: shooting of T.J. Chambers in Mountnorris, County Armagh. 3 September 1974: shooting incident. The 9 mm Luger pistol used in the incident was the same often used in other Glenanne gang attacks, including the murders of the Reavey brothers. 27 October 1974: killing of Catholic civilian Anthony Duffy. His body was found at the back of a farmhouse at Mullantine, near Portadown, County Armagh. He had been beaten, strangled and then shot by UVF members after taking a lift from Lurgan to Portadown, together with a friend who managed to escape. 20 November 1974: gun attack on Falls Bar at Aughamullen, near Clonoe, County Tyrone. Catholic civilian Patrick Falls was killed and another wounded. UDR soldier James Somerville was convicted for the attack. 29 November 1974: attacks in Newry and Crossmaglen, County Armagh. A bomb exploded in a hallway of Hughes’ Bar in Newry, injuring many people. Catholic civilian John Mallon died of his injuries on 15 December. At the inquest an RUC witness said the pub was used by all sections of the community and had no links with any organization. Another bomb exploded in the hallway of McArdle’s Bar, Crossmaglen, injuring six. Catholic civilian Thomas McNamee died from his injuries almost a year later, on 14 November 1975. According to reliable loyalist sources, UVF members were responsible for both attacks. 10 January 1975: killing of IRA volunteer John Francis Green, who was found shot dead at a farmhouse in Tullynageer near Castleblayney, County Monaghan. In his statement, Weir claims that the gunmen were Robin Jackson, Robert McConnell, and Harris Boyle. 10 February 1975: gun attack on Hayden’s Bar in Gortavale, near Rock, County Tyrone. A gunman entered the pub and opened fire indiscriminately on the customers. Catholic civilians Arthur Mulholland and Eugene Doyle were killed while four others were wounded. 1 April 1975: killing of Catholic civilian Dorothy Trainor. She and her husband were shot by at least two gunmen as they walked through a park near Garvaghy Road, Portadown. Two of her sons were later killed by loyalists.The “Protestant Action Force” claimed responsibility. 3 April 1975: killing of Catholic civilian Martin McVeigh. He was shot dead near his home at Ballyoran Park, off the Garvaghy Road in Portadown, as he cycled home from work. Robin Jackson was later arrested in possession of the murder weapon, but the RUC did not question or charge him with the murder. The “Protestant Action Force” claimed responsibility. 11 April 1975: killing of Catholic civilian Owen Boyle. Gunmen shot him through the window of his house in Glencull, near Aughnacloy, County Tyrone. He died on 22 April 1975. The “Protestant Action Force” claimed responsibility. 21 April 1975: killing of Catholic civilians Marion Bowen (who was eight months pregnant), and her brothers, Seamus and Michael McKenna, by a booby-trap bomb left in Bowen’s house at Killyliss, near Granville, County Tyrone. Seamus and Michael were renovating the house, which had been unoccupied for almost a year. The “Protestant Action Force” claimed responsibility. 27 April 1975: gun attack on a social club in Bleary, County Down. Gunmen burst into the Catholic-frequented darts club and opened fire indiscriminately. Catholic civilians Joseph Toman, John Feeney and Brendan O’Hara were killed while others were wounded. The “Protestant Action Force” claimed responsibility. 24 May 1975: bomb attack on the home of the Grew family in Moy, County Tyrone. Much of the house was destroyed and six children were injured. In 1981 a serving UDR soldier, a former UDR soldier and a former UVF member were convicted of partaking in the attack. 1 August 1975: gun attack on a minibus near Gilford, County Down. The minibus had been travelling from Banbridge to Bleary with nine people on board; all were Catholics and most had been returning from a regular bingo session. Like the Miami Showband attack, gunmen in British Army uniforms stopped the minibus at a fake military checkpoint. They then opened fire, wounding seven people.Catholic civilian Joseph Toland was killed outright and another Catholic civilian, James Marks, died of his wounds in January 1976. According to reliable loyalist sources,UVF members were responsible. 2 August 1975: shooting at Fane Valley Park, Altnamachin, County Armagh. 22 August 1975: gun and bomb attack on McGleenan’s Bar in Armagh. A masked gunman burst into the crowded pub and opened fire while another planted a bomb. It exploded as they ran to a getaway car, causing the building to collapse. Catholic civilians John McGleenan, Patrick Hughes and Thomas Morris were killed while many others were injured. According to reliable loyalist sources, UVF members were responsible. 24 August 1975: killing of Catholic civilians Colm McCartney and Sean Farmer, who were found shot dead at Altnamachin, near Newtownhamilton, County Armagh. They were driving home from a Gaelic football match in Dublin when they were apparently stopped at a fake military checkpoint by men in British Army uniform. They were found shot dead a short distance away. Earlier that night, three RUC officers in an unmarked car had been stopped at the same checkpoint but had been allowed through. However, the officers suspected that the checkpoint had been fake. After receiving radio confirmation that there were no authorized checkpoints in the area that night, they reported the incident and requested help from the British Army to investigate it, but no action was taken. The HET said the original police investigation “barely existed”, describing the police’s failure to interview eyewitnesses as “inexplicable”. Weir claims that an RUC officer confessed to partaking in the attack, alongside a UDR soldier and UVF members. The “Protestant Action Force” claimed responsibility. 1 September 1975: killing of SDLP member Denis Mullen, who was shot dead by two gunmen who called at the door of his home in Collegeland, County Armagh. 4 September 1975: gun and bomb attack on McCann’s Bar in Ballyhegan, County Armagh. Catholic civilian Margaret Hale died of her wounds on 22 September. 23 October 1975: killing of Catholic civilians Peter and Jane McKearney. They were shot dead by gunmen who arrived at the door of their house in Listamlat, near Moy, County Tyrone. The gunmen may have mistaken the couple for the parents of an IRA member with the same surname — Margaret McKearney — but they were not related. Margaret McKearney was wanted by Scotland Yard and the UVF had threatened to “eliminate” her. A contemporary newspaper article reported that “Army issue ammunition” was used. Among the first on the scene were neighbours Charles and Teresa Fox, who were both later killed by the UVF in 1992. 19 December 1975: attacks in Dundalk and Silverbridge. At 6:20pm, a car bomb exploded outside Kay’s Tavern in Dundalk, Co Louth on the southern side of the border. Catholic civilians Hugh Watters and Jack Rooney were killed and more than twenty others were injured. Three hours later, gunmen attacked Donnelly’s Bar and filling station in Silverbridge, less than ten miles away on the northern side of the border. They fired at people outside the building, then fired on the customers and threw a bomb inside. Two Catholic civilians (Patrick and Michael Donnelly) and an English civilian (Trevor Brecknell, married to a local woman) were killed. The “Red Hand Commando” claimed both attacks and it is believed they were co-ordinated. It is believed the Siverbridge attack was carried out by the Glenanne gang while the Dundalk bombing was carried out by other members of the Mid Ulster UVF, probably with some help from Belfast UVF members. RUC officer Laurence McClure admitted involvement in the Silverbridge attack. UDR Corporal Robert McConnell was also involved, according to John Weir and Lily Shields. Credible evidence from the RUC officer who led the investigation indicates that police believed they knew who the killers were and that the killers included RUC and UDR officers.The RUC refused the Garda Síochána access to a key witness in the Dundalk bombing. 26 December 1975: bomb attack on Vallelly’s Bar, Ardress, County Armagh. Catholic civilian Seamus Mallon was killed. 4 January 1976: Reavey and O’Dowd killings. At about 6pm, gunmen broke into the Reavey family home in Whitecross, County Armagh. They shot brothers John, Brian and Anthony Reavey. John and Brian were killed outright while Anthony died of a brain hemorrhage less than a month later. Twenty minutes after the shooting, gunmen broke into the O’Dowd family home in Ballydougan, about twenty miles away. They shot dead Joseph O’Dowd and his nephews Barry and Declan O’Dowd. All three were members of the SDLP. Barney O’Dowd was wounded by gunfire. RUC officer Billy McConnell admitted taking part in the Reavey killings and accused RUC Reserve officer James Mitchell of being involved too. According to Weir, UDR Corporal Robert McConnell was the lead gunman in the Reavey killings and Robin Jackson was the lead gunman in the O’Dowd killings. The “Protestant Action Force” claimed responsibility for the two co-ordinated attacks. 7 March 1976: car bomb attack on the Three Star Inn, Castleblayney, County Monaghan. Civilian Patrick Mone was killed. The bomb was placed in a car next to that of Mr Mone’s and was not intended for him. According to Weir, the attack was carried out by RUC officer Laurence McClure and UDR soldier Robert McConnell, using explosives provided by UDR Captain John Irwin and stored beforehand at James Mitchell’s farmhouse. A memorial to Patrick Mone is near the site of the bombing in Castleblayney. 8 March 1976: bomb and gun attack on Tully’s Bar in Belleeks, County Armagh. RUC officer John Weir admitted helping to plan the attack and accused RUC Reserve officer James Mitchell of being the mastermind. 17 March 1976: car bomb attack on Hillcrest Bar in Dungannon on Saint Patrick’s Day. Four Catholic civilians – Joseph Kelly, Andrew Small and 13-year-olds Patrick Bernard and James McCaughey – were killed. Twelve others were injured. 15 May 1976: attacks in Charlemont, County Armagh. Gunmen detonated a bomb in the hallway of Clancy’s Bar, killing three Catholic civilians (Felix Clancy, Sean O’Hagan and Robert McCullough) and injuring many others. They then shot into the nearby Eagle Bar, killing a Catholic civilian, Frederick McLaughlin, and wounding several others. Locals claimed that the UDR had been patrolling the village for a number of nights beforehand, but were absent the night of the attacks. UDR soldier Joey Lutton was later convicted of partaking in both attacks.His s tatus as a member of the security forces was withheld from the courts by the police. 5 June 1976: attack on the Rock Bar near Keady, County Armagh. Gunmen arrived at the pub and shot Catholic civilian Michael McGrath in the street outside. They then fired at customers through the windows and threw a nail bomb inside, but it only partially exploded. The HET said the RUC investigation is “cursory, ineffective and even fails to interview the only witness, who survived being shot down”. RUC officers William McCaughey, Laurence McClure and Ian Mitchell confessed and were convicted for the attack, while RUC officer David Wilson was convicted for withholding knowledge that the attack was to take place. However, only McCaughey served time in prison. According to the book Lethal Allies, the officers were wearing their police uniforms underneath boiler suits. 25 July 1976: killing of Catholic civilian Patrick McNeice, shot dead at his home in Ardress, County Armagh. 16 August 1976: car bomb attack on the Step Inn, Keady, County Armagh. Catholic civilians Elizabeth McDonald and Gerard McGleenon were killed and others were injured. Ten days before the bombing, the RUC asked the Army to put Mitchell’s farmhouse under surveillance because they had intelligence that a bomb was being stored there. According to Weir, the bomb was to be detonated at Renaghan’s Bar across the border in Clontibret, County Monaghan. On 15 August, Weir scouted the route to the pub but was stopped by Gardaí, who told him they were mounting extra security due to a warning from the RUC. Weir told the rest of the gang and they decided to attack Keady instead. The Army surveillance operation was ended and the bomb attack went ahead. Weir, Mitchell and the others involved were not arrested by the RUC and were allowed to remain in the force. 25 February 1977: killing of Catholic RUC officer Joseph Campbell, who was shot dead outside the RUC base in Cushendall, County Antrim. Weir claims that the killers were alleged RUC Special Branch agent Robin Jackson, RUC officer William McCaughey, and R.J. Kerr. 19 April 1977: killing of Catholic civilian William Strathearn, a chemist, who was shot dead at his shop in Ahoghill, County Antrim. RUC SPG officers John Weir and Billy McCaughey were convicted for the killing. 18 June 1978: kidnapping of Father Hugh Murphy. This was in retaliation for the IRA’s kidnapping and killing of an RUC officer the day before. Murphy was eventually released unharmed after appeals from a number of Protestant ministers, including Ian Paisley. Sergeant Gary Armstrong and Constable Billy McCaughey, both of the RUC (along with the latter’s father, Alexander McCaughey), were convicted for the kidnapping. 29 February 1980: killing of Catholic civilian Brendan McLaughlin, who was killed in a drive-by-shooting on Clonard Street, Belfast. He was killed with the same Sterling submachine gun used in the Miami Showband, O’Dowd family and Devlin family killings. 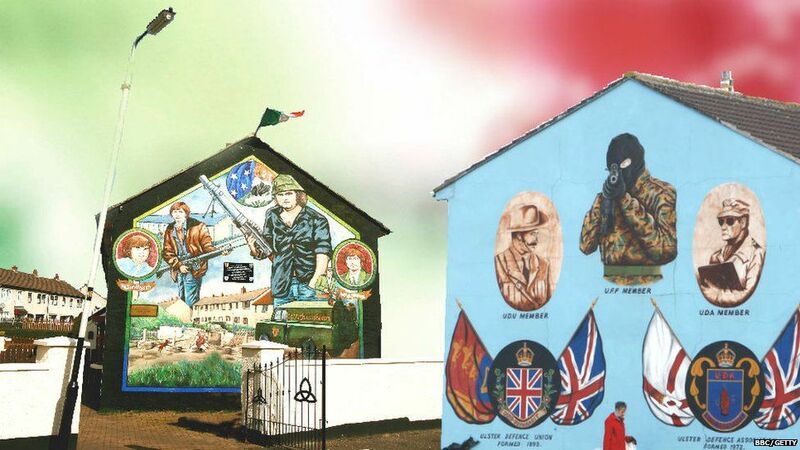 It is claimed in the Barron Report that Billy Hanna had asked James Mitchell for permission to use his farm as a UVF arms dump and bomb-making site.Information that loyalist paramilitaries were regularly meeting at the farm appeared on British Intelligence Corps documents from late 1972. According to submissions received by Mr Justice Barron, the Glenanne farm was used to build and store the bombs that exploded in Dublin and Monaghan. The report claims they were placed onto Robin Jackson’s poultry lorry, driven across the border to a carpark, then activated by Hanna and transferred to three allocated cars. These cars exploded almost simultaneously in Dublin’s city centre at about 5.30pm during evening rush hour, killing 26 civilians. Ninety minutes later a fourth car bomb exploded in Monaghan, killing another seven civilians. Mitchell and his female housekeeper, Lily Shields both denied knowledge that the farm was used for illicit paramilitary activity. They also denied partaking in any UVF attacks. In his affidavit, John Weir affirms that the farmhouse was used as a base for UVF operations that included the Dublin and Monaghan bombings. “He then offered me the two sub-machine guns because he knew about my connection to Loyalist paramilitaries. I accepted them and took them to Mitchell’s farmhouse”. In his affidavit, Weir recounted when in March 1976 he had gone to the farm where between eight and ten men dressed in camouflage had been parading in the farmyard. Inside he had discussed with Mitchell and others the details of a planned bombing and shooting attack against a nationalist pub, Tully’s in Belleeks. Mitchell had shown him the floor plans of the pub’s interior which he had drawn up highlighting the lack of escape routes for the pub’s patrons. The plan was temporarily called off when it was discovered that the British Army’s Parachute Regiment was on patrol that evening in the area. Weir returned to Belfast the next day and the attack went ahead that evening, 8 March. There were no casualties, however, as Mitchell’s floor plans had been inaccurate, and the customers had fled into the pub’s living quarters for safety once the shooting had commenced outside, and the bomb only caused structural damage to the building. On 31 July 1975, four days after Hanna’s shooting and Jackson’s assumption of leadership of the Mid-Ulster brigade, the Miami Showband’s minibus was flagged-down outside Newry by armed UVF men wearing British Army uniforms at a bogus military checkpoint. Two UVF men (Harris Boyle and Wesley Somerville) loaded a time delay bomb on the minibus but it exploded prematurely and killed them. The remaining UVF gunmen then opened fire on the bandmembers, killing three (Brian McCoy, Anthony Geraghty and Fran O’Toole) and wounding two (Stephen Travers and Des McAlea). Two of the three men convicted of the killings and sentenced to life imprisonment were serving members of the UDR, and the third was a former member. The Luger pistol used in the attack was found to have been the same one used to kill Provisional IRA member John Francis Green in January 1975 and was also used in the O’Dowd killings of January 1976. The following May, the security forces found Jackson’s fingerprints on a home-made silencer attached to a Luger. Although charged, Jackson avoided conviction. A Sterling 9mm submachine gun was also used in the Miami Showband killings. The 2003 Barron Report suggests that the guns were taken from the stockpile of weapons at the Glenanne farm. The Luger pistol used in the Green, Miami Showband, and O’Dowd attacks was later destroyed by the RUC on 28 August 1978. Liaison officer Captain Robert Nairac has been linked to the Miami Showband killings and the killing of John Francis Green. Miami Showband survivors Stephen Travers and Des McAlea both testified in court that a man with a “crisp, clipped English accent, and wearing a different uniform and beret” had been at the scene of the explosion and subsequent shootings. “credible evidence that the principal perpetrator [of the Miami Showband attack] was a man who was not prosecuted – alleged RUC Special Branch agent Robin Jackson”. Although Jackson had been questioned by the RUC following the Showband attack, he was released without having been charged. The co-ordinated sectarian shootings of the Reavey and O’Dowd families, allegedly perpetrated by the Glenanne gang and organised by Robin Jackson, was followed by the South Armagh Republican Action Force retaliation with a sectarian attack the following day. It stopped a minibus at Kingsmill and shot dead the ten Protestant passengers, after being taken out of their minibus which was transporting them home from their workplace in Glenanne. In 2001, an unidentified former Glenanne gang member (a former RUC officer who had been sentenced to life imprisonment for his part in the gang’s killings) revealed that the gang had planned to kill at least thirty Catholic schoolchildren as revenge for Kingsmill. It drew up plans to attack St Lawrence O’Toole Primary School in the South Armagh village of Belleeks. The plan was aborted at the last minute on orders of the UVF leadership, who ruled that it would be “morally unacceptable”, would undermine support for the UVF, and could lead to civil war. The gang member who suggested the attack was a UDR soldier; he was later shot dead by the IRA. The UVF leadership allegedly suspected that he was working for the British Intelligence Corps, and that military intelligence were seeking to provoke a civil war. In 2004, former gang member McCaughey spoke of the planned retaliation and said that the UVF leadership also feared the potential IRA response. The Cassel Report states that convictions were obtained in only nine of the 25 cases it investigated and that several of those convictions are suspect as erroneous and incomplete. A month before Nairac’s killing, a Catholic chemist, William Strathearn, was gunned down at his home in Ahoghill, County Antrim. SPG officers Weir and McCaughey were charged and convicted for the killing. Weir named Jackson as having been the gunman but Jackson was never interrogated for “reasons of operational strategy”. The Special Patrol Group was disbanded in 1980 by the RUC after the convictions of Weir and McCaughey for the Strathearn killing. In December 1978 the authorities raided the Glenanne farm and found weapons and ammunition. This made it necessary for the gang to seek an alternative base of operations and arms dump. James Mitchell was charged and convicted of storing weapons on his land. Northern Ireland’s Lord Chief Justice Robert Lowry presided over his trial on 30 June 1980. The farm had been under RUC observation for several months before the raid. On 16 October 1979, Robin Jackson was arrested when he was found with a number of weapons and hoods. In January 1981 he was sentenced to seven years imprisonment for possession of guns and ammunition, but was then released in May 1983. John Weir stated that the Glenanne gang usually did not use the name “UVF” whenever it claimed its attacks; instead it typically employed the cover names of Red Hand Commando, Red Hand Brigade or Protestant Action Force. A judicial review into the actions of the gang was announced by the High Court in Belfast in February 2015. This review found, in July 2017 that the decision by PSNI Chief Constable Matt Baggott had effectively prevented an “overarching thematic report” into the activities of the Glenanne gang had breached the victims’ families’ rights as defined in Article 2 of the European Convention on Human Rights. Mr Justice Treacy gave the parties until the start of September 2017 to try to reach an agreement on the appropriate form of relief.